Welcome to the January 28, 2019 edition of ACM TechNews, providing timely information for IT professionals three times a week. Several world leaders urged global technology regulation at last week's World Economic Forum in Davos, Switzerland. 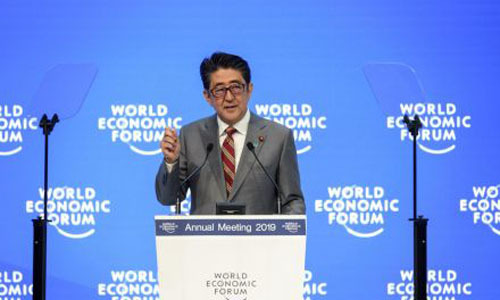 Japan's Prime Minister Shinzo Abe announced that his country, which will chair this year's Group of 20 nations, will move to advance an international data governance system as an expansion of World Trade Organization rules. President Cyril Ramaphosa of South Africa also pointed to greater tech oversight as an issue that African Union leaders will emphasize at a meeting next month. German Chancellor Angela Merkel called for a "common digital market" in the European Union, and said global data governance is essential to blocking opposition from those fearing technological change's rapid pace. Merkel also cited ethical standards in artificial intelligence and genetic engineering, and management and ownership of data, as areas where rules are especially vital. 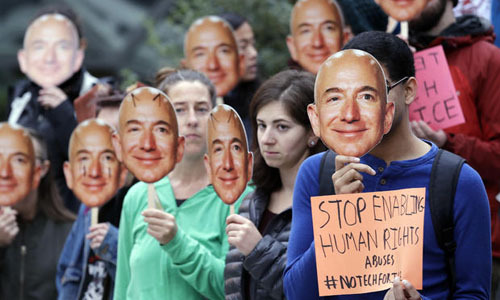 Researchers from the Massachusetts Institute of Technology (MIT) and University of Toronto suggest Amazon's facial-recognition technology could be biased. In testing, the researchers found that while Amazon's Recognition system was error-proof in identifying lighter-skinned males' gender, darker-skinned women were labeled as men 31% of the time, while lighter-skinned women were misidentified 7% of the time. Matt Wood, general manager of artificial intelligence with Amazon's cloud-computing unit, said the study uses a "facial analysis" and not "facial recognition" technology. He said that facial analysis "can spot faces in videos or images and assign generic attributes such as wearing glasses; recognition is a different technique by which an individual face is matched to faces in videos and images." In response, Joy Buolamwini of the Massachusetts Institute of Technology said, "If you sell one system that has been shown to have bias on human faces, it is doubtful your other face-based products are also completely bias-free." A prototype self-driving air taxi from Boeing's research and development (R&D) unit completed its first flight in Manassas, VA, this week, successfully taking off, hovering, and landing using autonomous navigation and landing systems. The 30-foot-long air taxi has a 28-foot wingspan, with vertical rotors allowing it to hover or fly forward for up to 50 miles; an upcoming test will gauge the aircraft's ability to fly forward. Boeing's R&D arm, NeXt, collaborates with technologists and government regulatory agencies to plan the eventual rollout of self-piloting air vehicles. This year Boeing aims to test-fly an unmanned cargo plane that can carry up to 500 pounds. Boeing NeXt's Steve Nordlund said the project is part of an overarching initiative to reduce metropolitan traffic congestion as the company seeks to "usher in a future of safe, low-stress mobility in cities and regions around the world." Google has requested the U.S. Supreme Court review its nearly decade-long copyright dispute with Oracle over the use of Java application programming interfaces (APIs) in Android, asking for a decision on two overruled decisions that APIs are non-copyrightable and that Google's use of Java APIs constitutes fair use. Google chief legal officer Kent Walker said copyrighting APIs was equivalent to "saying that keyboard shortcuts can work with only one type of computer." According to Walker, Android produced a new platform that allowed many Java coders to use their existing skills to create new apps; Java's creators also wholeheartedly supported Android's release. Oracle sued Google over the use of Java in Android about a year following its acquisition of Java owner Sun Microsystems. Said Walker, "Unless the Supreme Court corrects these ... reversals, this case will end developers' traditional ability to freely use existing software interfaces to build new generations of computer programs for consumers." Harvard University researchers hope to make ethical considerations a key component of computer science (CS) education. Harvard's Barbara Grosz and collaborators have devised a model that taps the expertise of the philosophy department and integrates it into more than 12 CS courses. The model couples philosophy graduate students with CS faculty, who review course material and select an ethically rich subject that arises naturally from the content; a graduate student identifies readings and assembles a case study, activities, and assignments that reinforce the material. Microsoft Research's Mary Gray said, "Our challenge in industry is to help researchers and practitioners not see ethics as a box that has to be checked at the end, but rather to think about these things from the very beginning of a project." Cybersecurity professionals are in short supply, presenting a serious problem as a wave of cyber-attacks is expected this year. 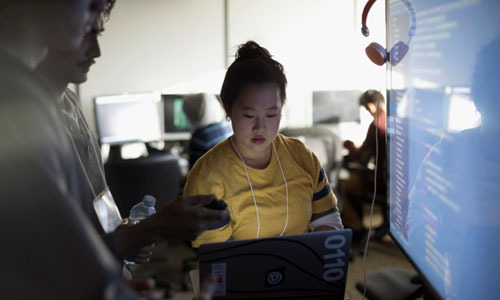 The National Initiative for Cybersecurity Education said U.S. employers posted nearly 314,000 cybersecurity jobs between September 2017 and August 2018, which, if filled, would constitute a more than 40% gain to the cyber workforce. Meanwhile, the International Information System Security Certification Consortium (ISC2) estimated a gap of nearly 3 million unfilled cybersecurity jobs worldwide. Preferred job candidates would have a bachelor's degree in programming, computer science, or computer engineering, while a statistics and math background also is highly favored. However, ISC2 determined from a study of more than 3,300 information technology professionals that employers are not making sufficient effort to equip and empower personnel with the education and authority to fortify their implementation of security tech. Swedish startup Mapillary is an open platform that crowdsources images of streets taken by people on their smartphones, using computer-vision software to analyze the images and identify objects. Mapillary now claims to be one of the largest publicly available databases of street-level imagery in the world, and experts hope it will help autonomous vehicles navigate streets safely. The database has more than 422 million images covering 3.9 million miles, and it was recently augmented with 186 million objects like utility poles, benches, and manhole covers, which are locked into specific locations with coordinates. 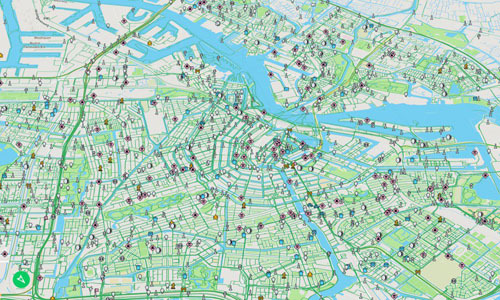 Mapillary is used in Amsterdam, as well as by transportation officials in Vermont and Arizona. Lithuania also is employing Mapillary to improve its understanding of its own streets. Cornell University researchers have developed a computer program that can simulate the most likely locations in a processing facility where the food-borne pathogen listeria monocytogenes might be found; food safety managers can then test those areas for the bacteria's presence. The researchers want eventually to apply the Environmental Monitoring With an Agent-Based Model of listeria (EnABLe) framework to identifying contamination from other pathogens that cause hospital-acquired infections in veterinary hospitals or E. coli bacteria in fruit and vegetable processing plants. The model analyzes all relevant data, including historical perspectives, expert feedback, details of the equipment used and its cleaning schedule, the jobs people do, and materials and people who enter from outside the facility. Said Cornell's Claire Zoellner, "A computer model like EnABLe connects those data to help answer questions related to changes in contamination risks, potential sources of contamination, and approaches for risk mitigation and management." 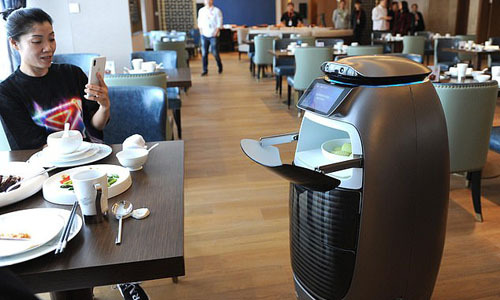 A hotel that Chinese multinational conglomerate Alibaba opened in China last month utilizes robots and a suite of other high-tech tools that the company says drastically reduces the hotel's cost of human labor and eliminates the need for guests to interact with others. The 290-room "FlyZoo" hotel is an incubator for technology Alibaba wants to sell to the hotel industry in the future; it also serves as an opportunity to showcase Alibaba's proficiency in artificial intelligence (AI). FlyZoo's guests can check in via face scanners; visitors with a Chinese national ID can scan their faces using their smartphones for advance check-in. Projects like the hotel are designed to develop AI and other high-tech expertise to propel Alibaba's e-commerce revenue growth, and also foster new areas of business at a time when e-commerce revenue growth rates are slowing. Wise (Women into Science and Engineering), a U.K-based campaign aiming for science, technology, engineering, and mathematics (STEM) gender balance, has called on the STEM sector to help break down the negative stereotypes that put girls off STEM careers. The industry needs to help change how girls perceive STEM careers if it wants to fill the 173,400 job openings in the U.K., according to the group. Said Wise CEO Helen Wollaston, “At A-Level, only one in 10 computer science students ... are female. When you take out health, fewer than one in five of science, technology, and engineering jobs in the U.K. are held by women. We simply have to get better at showing girls that math, science, and technology open doors to exciting, well-paid jobs where they can make a real difference to the world.” Wise has created My Skills My Life, an online resource designed to help girls understand more about which skills and subjects lead to specific careers. British mathematician Michael Atiyah passed away earlier this month at the age of 89. Atiyah was most famous for uniting mathematics and physics during the 1960s in a way not seen since Isaac Newton. Atiyah spent many years at Oxford and Cambridge universities in the U.K., where he identified an unforeseen connection between mathematics and physics through a theorem he proved in collaboration with mathematician Isadore Singer. His work with Singer led to the growth of string theory and gauge theory as ways to understand the structure and dynamics of the universe. In addition, Atiyah's research has provided powerful tools for both mathematicians and theoretical physicists. Atiyah received the two highest honors in mathematics: the Fields Medal, in 1966; and the Abel Prize, in 2004. 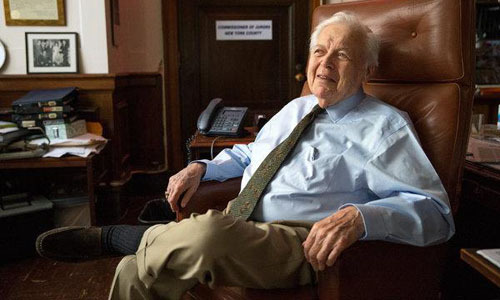 Said Graeme Segal, a former student of his and now an emeritus fellow in mathematics at Oxford, Atiyah "would make you think that everything was possible, and there were all these wonderful ideas, and you could put them together and do something with them."